If you’re asking yourself these questions we can help. Here is a handy infographic giving useful facts and information all about electrical recycling. We hope you find this interesting and informative. If you would like to share this infographic on your website or blog you will find the embed code here or just share this page. 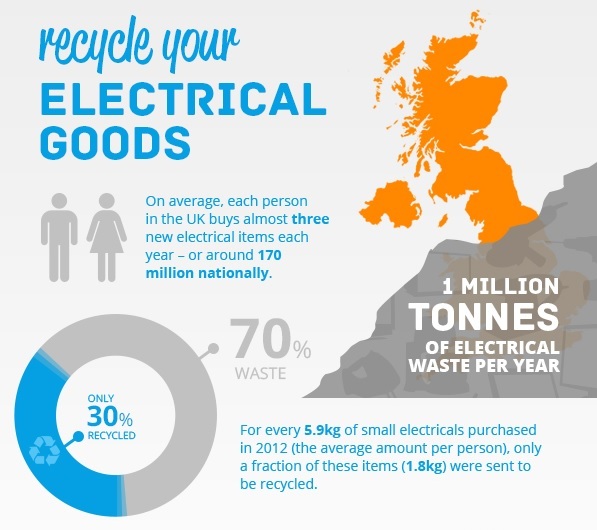 You can recycle electrical goods at the West Sussex County Council Household Waste Recycling Sites around the county, learn more here. More information about what you can recycle in your local authority household recycling bin here. 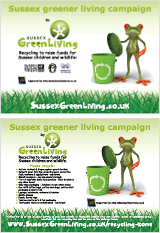 Sussex Green Living promote and administer a special recycling scheme which raises money for charities and non profit organisations. We are able to recycle any size and brand of used mobile phone. Not landline phones, phone chargers or loose batteries. Also laptops, notebooks, netbooks and tablets. Learn more here. In the Recycling Zone here, you will learn about many other ways you can recycle landfill waste resources for the financial benefit of charities and not for profit organisations.